Unfortunately, well actually fortunately, not the kind of “unreal” party I had in my 20’s. Not like “Dude that part was unreal.” No, not like that at all. This was an Unreal party with some lady bloggers drinking wine. 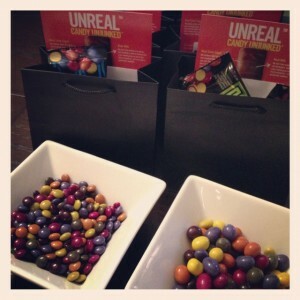 Unreal is a new candy company trying to prove that you can Unjunk your candy. 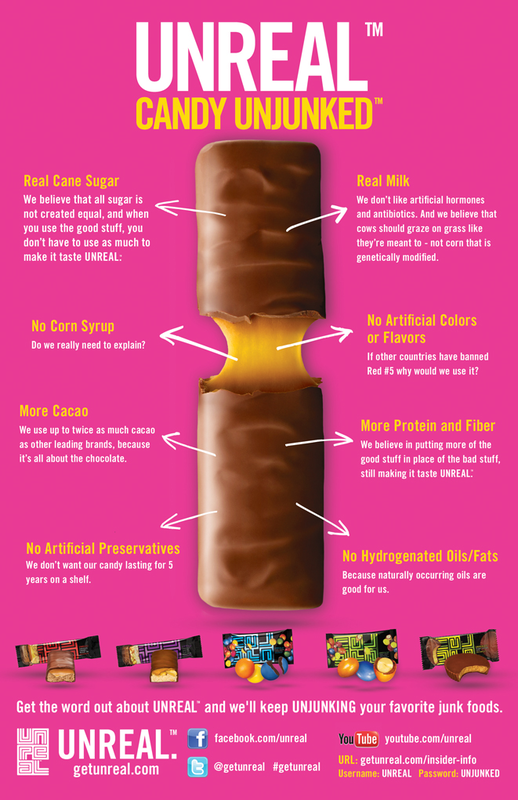 They make candy without GMO’s, artificial preservatives, hydrogenated oils or fats, high fructose corn syrup or artificial flavors or colors. They use real cane sugar, real milk, and more cacao than the leading brands. They taste great! The favorite at the party was the Unreal 5 aka: The Milky Way. And therein lies part of the problem that we all saw for Unreal going forward. The Names. All of my guests were calling the candy by their couterparts’ names. M & M, Snickers etc. No one ever said “Hey I really love that Unreal 77.” They said they liked the Reese’s. I don’t know how you fix that or work around it, but I do know that the best place to start is with a candy that tastes as good or better than the original, without all the junk. I think that Unreal is on it’s way. 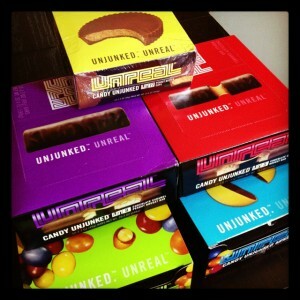 You can buy Unreal at a bunch of places lie CVS, Rite Aid, Walgreens and soon at Target and many more places. This post (and my sharing on social media) was inspired by my participation in a compensated program by Unreal. All commentary and opinions are, of course, my own.